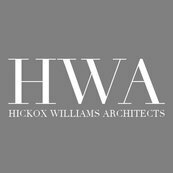 9 Reviews for Hickox Williams Architects, Inc.
Brigid Williams solved a multitude of problems for us. We were re-doing an old house that needed totally new systems and design solutions to modernize the house and make it fit our life style. Brigid listened patiently and came up with startling, innovative and esthetically pleasing solutions to our problems. She stuck with us through the inevitable construction issues and we could not be happier with the results.